Then SeasonGuard Plus Is The Perfect Pest Plan…Just For You! Can we agree…life is frustrating enough! But choosing a pest control plan and the right service provider to give you a pest free-home or building shouldn’t be! There’s probably nothing worse than discovering your home or building is infested with spiders, ants, roaches, termites… or any of the other creepy crawly things that can take up residence indoors… is there? How can you restore your peace-of-mind and ensure your home or building is pest-free? But, what if the peace-of-mind you’re looking for is only a call away? And what if it’s offered from a company with an enviable track record and proven pest programs, guaranteed to resolve your pest issues? A company that details – in plain language – what’s covered and what’s not. No surprises, no call-back charges… and unlimited emergency visits. “TermiGuard has consistently exceeded my expectations regarding the care and treatment of my property and home. A company that covers ants, termites, mice, rodents, and most creepy-crawlers… and at reasonable prices, too! Yes that’s right…Pests,Termites & other Wood Destroying Insects in one convenient plan! Speaking of ongoing protection…do you know why it’s so important, comapared to one time services? 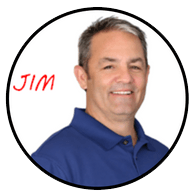 A few 1 time pest control services can add up quick! You should beware of a company trying to sell you, or willing to sell you one time services at least without first explaining why they just aren’t the best decision. One time services simply do not work! Pests, their biology and nature typically require inspections, targeted treatments, and routine visits – all of which is impossible with one visit. Several one vists services can get pretty expensive and still not rid the pest, leaving you in the same place where you started. Imagine the convenience of ‘one-stop shopping’, an all-inclusive pest control program, on-going protection and prevention not to mention cost savings! “For me personally, the most compelling reason I chose your company was personal attention with zero pressure. Having an effective and affordable pest control plan is an important part of maintaining a home but along with cost, a significant factor for me was feeling like my concerns were addressed and everything was explained well in advance. Because of that I felt I could make an informed decision without once feeling pressured. All of which lets us achieve your desired control outcomes using 30% less pest control product – with no environmental runoff… and the results have been spectacular! If you are not satisfied with the reduction of pests in your home, we will return and re-treat at no additional charge. And, if for any reason you’re unhappy with our service – We will refund 100% of your money – It’s that simple. What will you do today to help protect the health of your home and loved ones tomorrow? 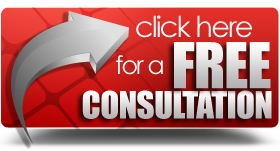 Start here by clicking the button below to sign up for your no-obligation pest consultation!